At times we don’t give it much attention, or a second thought, but with every passing year, we are getting older and aging. And the signs of aging will soon start showing. From sagging skin to wrinkles and greying hair, it’ll be all over us. But the part of our body to get affected real soon is our eyes. Weakening of our sight, cataract, eye floaters and dry eyes are very common issues to follow. While some issues are under our control, some are not. 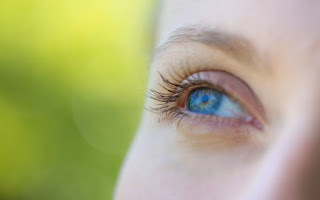 Eye floaters are something we can deal with and get rid of. Though they go unnoticed most of the time and one might learn to avoid them, if the problem increases, it can be a real issue. Eye floaters are dark specks that come between our lines of vision and float around in front of the eyes every time we roll or move them. This problem usually doesn’t have an age bar, can happen to anyone, but increasing age can worsen the situation. You can get eye floaters permanently removed through surgery, but it is, without a doubt, extremely risky to undertake. In fact, most surgeons would advise against it. This is because there is no assurance that the surgery would be a success. It is always advisable to try natural remedies before going under the knife. They are not only safe, but also more dependable. So here are some home remedies to help you get rid of eyefloaters. The antioxidants in green tea strengthen the retinal tissue and improve eyesight. Sipping on a cup of green tea every morning is a good way to reduce eye floaters. Just like bilberries, there are many other herbs, ingredients and food items that contain high levels of antioxidants. Eating such food is good for curing eye floaters. Green tea has also been known to possess anti-oxidants. It is safe to assume that antioxidants are extremely useful for avoiding, preventing or even curing the eye floaters. Hence, this too falls into the category of the remedies for eye floaters. Take a few walnuts, add a teaspoon of honey and eat this daily. Walnuts are rich sources of omega three fatty acids which are known to reduce eye floaters. Massaging the temples is a good remedy for eye floaters. Place a cloth soaked in warm water over your closed eyes. And then gently massage your temples. This practice reduces stress levels, which controls the eye floaters from coming in the first place. And if you already have them, they work great on reducing them as well. Drink one glass of spinach juice every morning to get rid of eye floaters. Stored toxins in the body can also cause eye floaters. One best way to flush the toxins out of the body is by starting the intake of fluids. And what better than water. Once the body gets rid of toxins, chances of eye floaters are largely reduced and drinking water is also good for your overall health. Direct sun rays can be harmful to your eyes. So, protect them by wearing sunglasses whenever you are outside on a sunny day. Doing this reduces direct exposure to the sunlight to your eyes and makes the presence of the eye floaters less apparent. Caffeine and alcohol tend to have an adverse effect on the eyes. So, if you happen to be an avid consumer of coffee and alcohol, then you should either reduce your intake of both of these beverages to prevent eye floaters. Most people claim that they smoke because they find smoking to be a stress buster. But this is not true. Smoking does not alleviate stress. In fact, it tends to increase it, especially when you inhale the smoke. This is not okay for your vision. So, quit smoking to escape from the clutches of the eye floaters. This is another top remedy for eye floaters treatment. Try these home remedies and curb the appearance of eye floaters once and for all. It is better to control a problem before it becomes uncontrollable. These home remedies are easy and do not require your time and effort. So try them today and see a change.